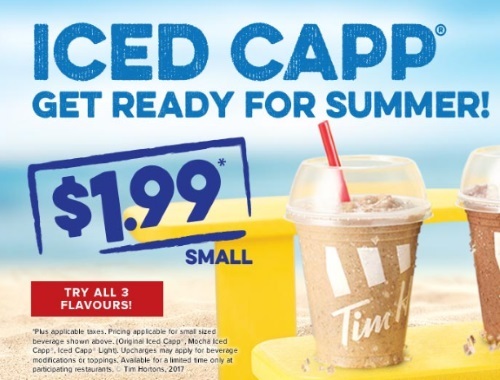 Get summer ready with Tim Hortons Iced Capps! Get a Small Iced Capp for $1.99. Try all thee flavours: Original Iced Capp, Mocha Iced Capp and Iced Capp Light. Available for a time at participating restaurants.